Growing up, boys like to play games and those boys eventually turn into men, but that burning desire to sit, relax and play a game has yet to leave the building. No longer are we playing with jacks and marbles or Connect Four, instead we like to sit our asses down and play a game of Madden or a run a couple of races in Forza Motorsport 2. 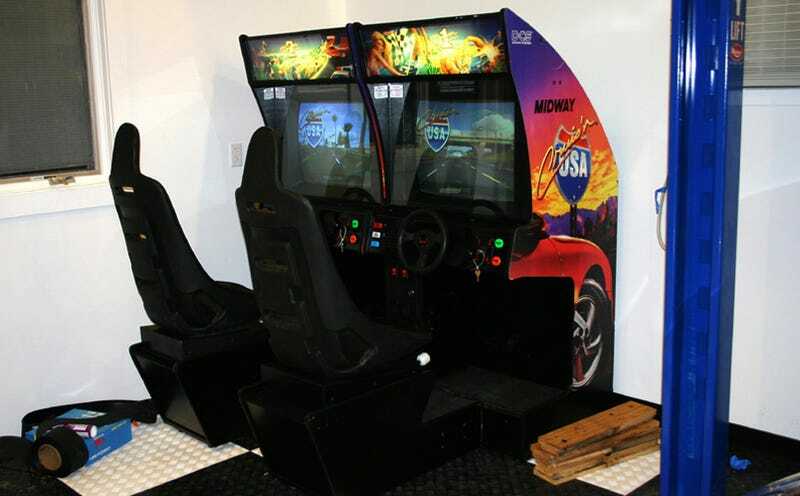 Depending on the size of the garage you've chosen, we're going to suggest that you either pick yourself up a nice dual machine version of Cruisin' USA or even an F355 Challenge machine. You can pick up Midway's finest for around $6000 or 355 Challenge for around $6500 from Primetime Amusements.